The Iverk Show which will be celebrating its 189th birthday this year is pleased to announce that the All Ireland Broodmare and Foal Team Championship final with qualifiers are returning to the show this year. 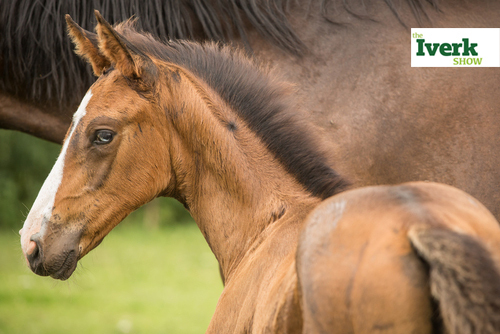 After an absence of a couple of years this is a welcome return for one of the most popular championships of the season.The aim of the championship is to identify good quality broodmares that are breeding quality foals that will have a future in the sport horse industry. The mare and foal will be judged as a unit. In a hugely exciting development ‘Investec Wealth and Investment’ have come on board for the first time and are sponsoring the competition to the value of €4300 with a first prize of €1,000. A new special prize of €100 will be awarded to the highest placed six year old mare and under. With around 20,000 visitors annually the show is going from strength to strength and is now one of the leading shows in the country. Trade stand booking are already ahead of last year which is a great sign of confidence returning to business. In order to help trade exhibitors and to facilitate an improved layout of the show all trade exhibitors must be booked in by Friday the 14th of August 2015 as space is limited.